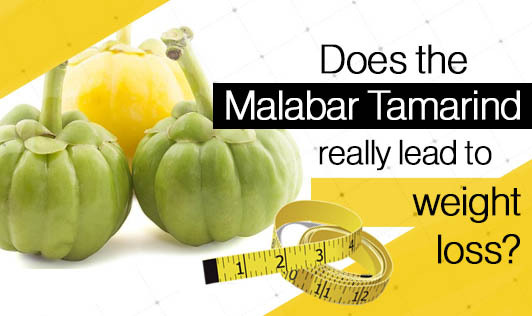 Does the Malabar Tamarind really lead to weight loss? Garcinia Cambogia, also known as the Malabar Tamarind or Vrikshamla is a small fruit which looks like a small green pumpkin. It is native to parts of South East Asia, some parts of India, Indonesia and Central Africa, where there are rain forests. The fruit has some traditional usage in Asian dishes for its sour flavour. The skin of the fruit contains a large amount of a natural substance called Hydroxycitric Acid (HCA), which is recently being marketed as an active ingredient for weight loss. Studies in rats show that the active ingredient Hydroxycitric Acid (HCA) in Garcinia Cambogia can inhibit a fat producing enzyme called Citrate Lyase, which is responsible for converting carbohydrate to fat in the liver. It has also been shown to increase the serotonin levels in the brain, which suppresses one’s appetite. It has also been said to reduce the activity of the pancreatic and intestinal enzymes (responsible for carbohydrate metabolism), thus reducing the absorption of carbohydrates. However, in human studies where Garcinia Cambogia extracts have been used in overweight or obese individuals, this weight loss effect has been inconsistent and not statistically significant. More studies are required to prove the weight loss efficacy of this fruit. Most studies in humans have been conducted on small samples and the studies are mainly short term. Therefore, there is still little evidence to support the potential effectiveness and long-term benefits of Garcinia Cambogia extracts. However, Garcinia Cambogia appears to be safe. Most of the studies show that there are no serious side effects of taking HCA at levels up to 2800 mg/day. So combining this supplement with a healthy diet and a consistent exercise regiment is recommended, as this will lead to larger and long-term weight loss.